So I thought I'd start doing these weekly roundup posts of just cool stuff I find that's Disney-related on the internet and general news. Because we've chosen to go through movies one-by-one, we don't really have a chance to talk about what all is happening in the Disney fandom, and I thought this would be a cool way to share! This is an incredibly cool video showing how they used the audio from this test footage for the actual Mad Hatter Tea Party scene in Alice in Wonderland. 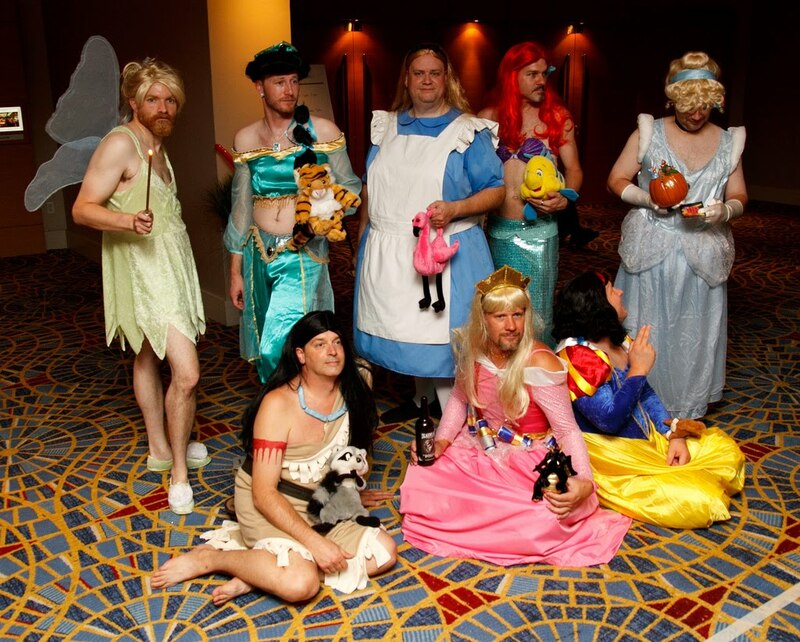 This shot was taken by Courtarro at this year's Dragon Con and pretty much wins for best cosplay group ever. 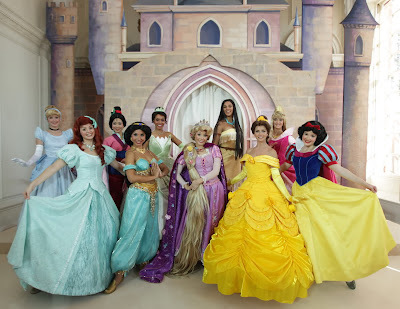 Rapunzel is an actual princess now? Disney held a big celebration at Kensington Palace in London earlier this week to officially add Rapunzel to the Princess lineup. Frankly I think this was just kind of silly. I thought she was already part of the line up when the movie came out, and it seemed a little ridiculous to have this big hullabaloo in England at a palace. Hopefully this will mean more merchandise with all 10 of them on it though. I was pleased to see Mulan and Pocahontas out and about with the other ladies. Four movies are being given the 3D treatment and being re-released in theaters! Beauty and the Beast in January 2012, Finding Nemo in September 2012, Monsters Inc in January 2013, and The Little Mermaid in September 2013. This is really great news! I'd love to see these in theaters again, and Lion King's 3D was very tastefully done I thought. I'm also hoping this will mean more re-releases in the future. I've seen most of these in theaters (albeit a while ago, obviously) but I'd love to see some of the much older Disney films on the big screen. Also, note that Monsters University, the Monsters Inc prequel is currently supposed to be released in 2013, so very smart timing. Kristin Chenoweth performs "Spoonful of Sugar," when the Kennedy Center honored Julie Andrews. This video is about the cutest thing I've seen all week. As most of you know, Steve Jobs passed away earlier this week. Not only was he a genius at Apple, he was also a driving force behind Pixar. The world has truly lost a visionary. Our thoughts and prayers are with his friends and family. I hope this post was interesting! There's always a lot going on with the Disney fandom, so I'm sure we'll have plenty to share in the future. Disney face swap is the BEST! Whoever thought of that was a genious! I know, right? It's so delightful.